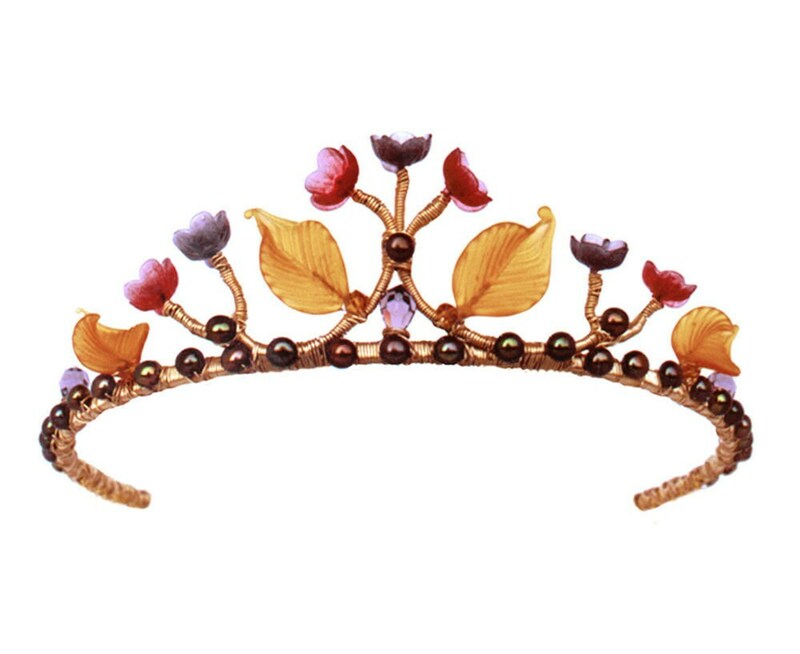 This glass tiara features one-of-a-kind frosted handmade glass leaves and flowera, each one unique. It is made with glass, cultured freshwater pearls and Swarovski crystals. Beautiful warm bold colors make it a perfect headpiece for an autumn wedding or a special event. It measures 1 1/2" high. It comes with the two small combs atached on the each end. Available in gold or silver finish.